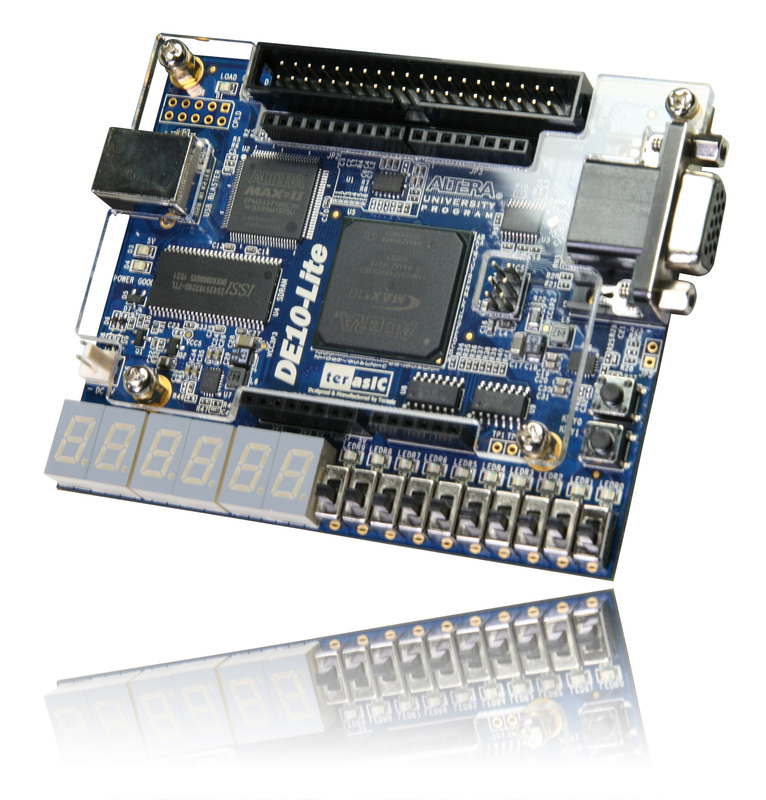 Terasic DE10-Lite is a cost-effective Altera MAX 10 based FPGA board. The board utilizes the maximum capacity MAX 10 FPGA, which has around 50K logic elements(LEs) and on-die analog-to-digital converter (ADC). It features on-board USB-Blaster, SDRAM, accelerometer, VGA output, 2x20 GPIO expansion connector, and an Arduino UNO R3 expansion connector in a compact size. The kit provides the perfect system-level prototyping solution for industrial, automotive, consumer, and many other market applications. The DE10-Lite kit also contains lots of reference designs and software utilities for users to easily develop their applications based on these design resources.